Aaron Seton has dominated the Performax TA2 Muscle Car Series at Queensland Raceway by winning all four of the weekend’s races. Qualifying on pole, Seton also broke the lap record aboard the Castrol Harris Racing Ford Mustang with a 1:14.5928s lap early in Race 3. The result arrived in Seton’s second weekend in the category, having made his debut at the Muscle Car Masters event at Sydney Motorsport Park earlier this month. Race 1 saw Seton edge out points leader Russell Wright for victory, the pair split by just over two seconds after the 11 lap race, with Ashley Jarvis completing the podium. Seton then maintained his advantage over the competition throughout the remainder of the weekend, holding at least a six second advantage in each of the three subsequent races. In each instance the podium remained the same, with Wright trailing the race winner and Jarvis taking the third step. Saturday’s opening race was marred by a three car shunt between Don Dimitiadis, Mark Crutcher, and Darren Berry, which eliminated all three cars from the remainder of the weekend. Though finishing behind Seton throughout the event, Wright extended his championship advantage to hold 13 points over Hugh McAlister, with Jarvis now three points further back. 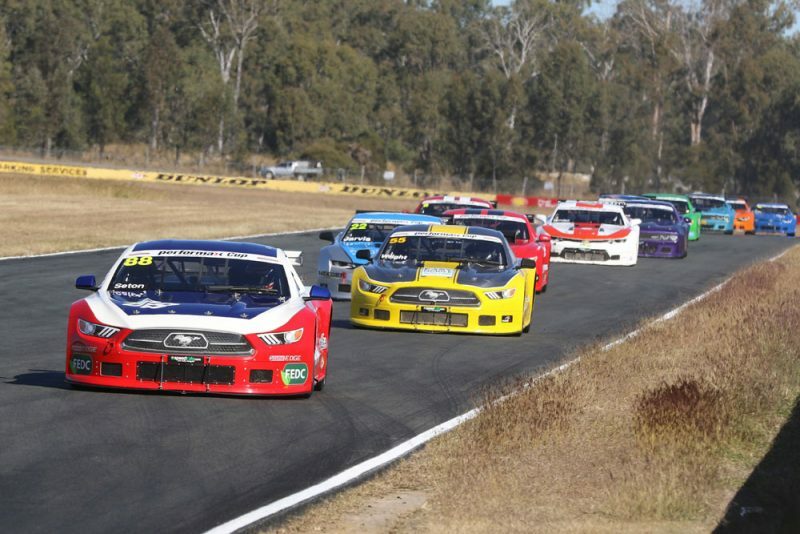 The next round of the TA2 Muscle Car Series takes place at Wakefield Park on August 18-19.